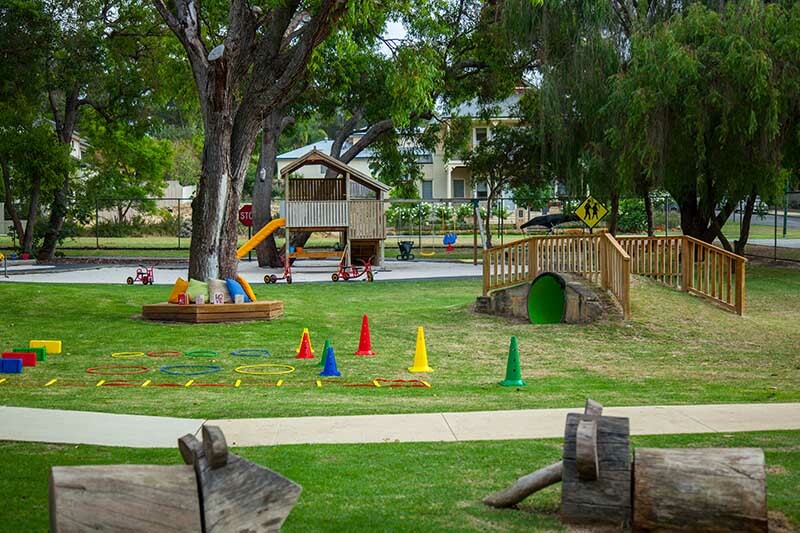 Tucked away in a gorgeous reserved park area, very close to Mason’s Reserve in Dalkeith, the tranquility of the natural surrounding at Kidz Galore Nedlands gives this centre an overall sense of calmness. 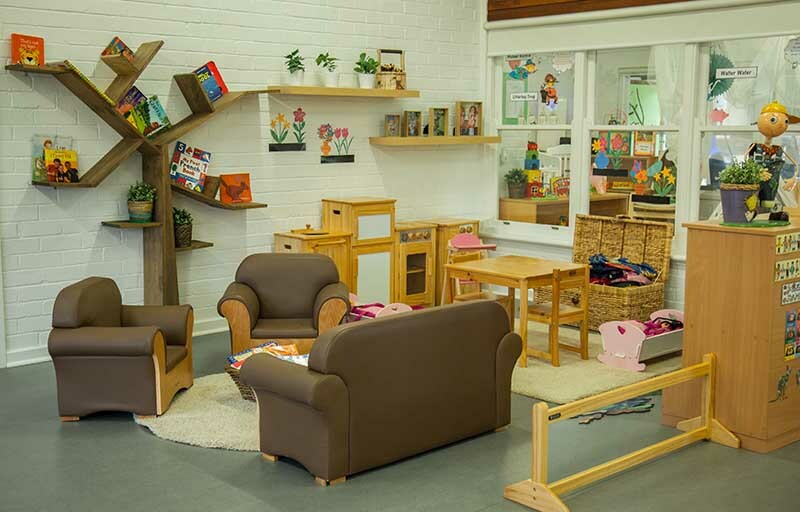 The centre caters for children aged between 6 weeks and 5 years and provides an age appropriate curriculum that encourages independence and confidence. 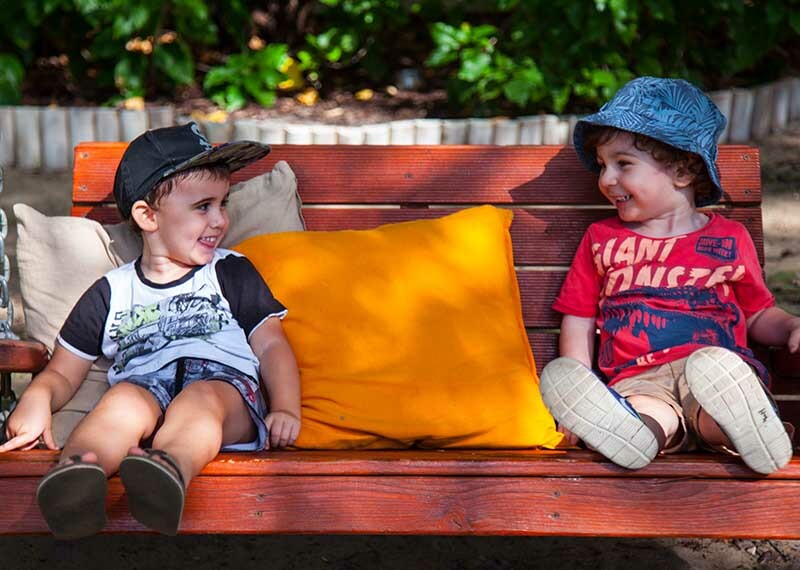 Through building strong relationships between your children and our educators we believe this supports a healthy environment for your child to grow and learn. 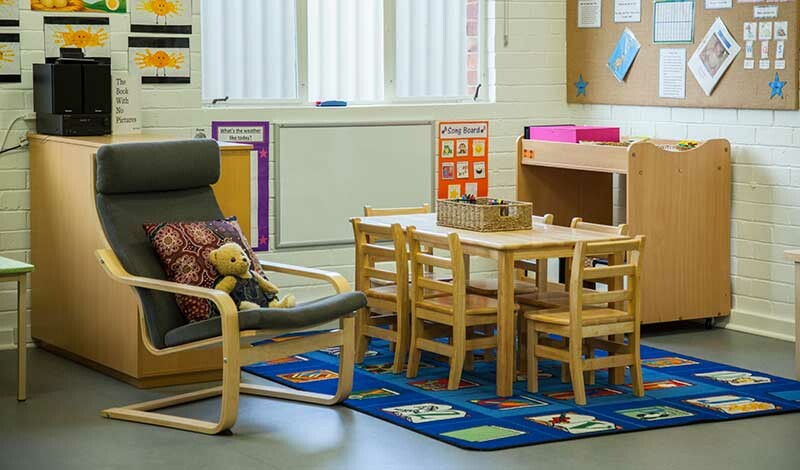 The layout of the centre is typical of an “old preprimary” beautifully renovated to retain the old school feel. 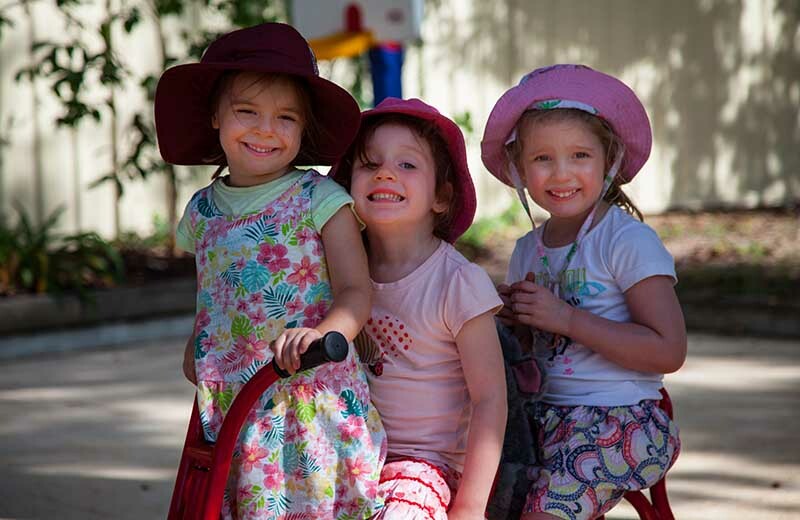 Our aim at Kidz Galore Nedlands is to introduce and prepare your child for school. 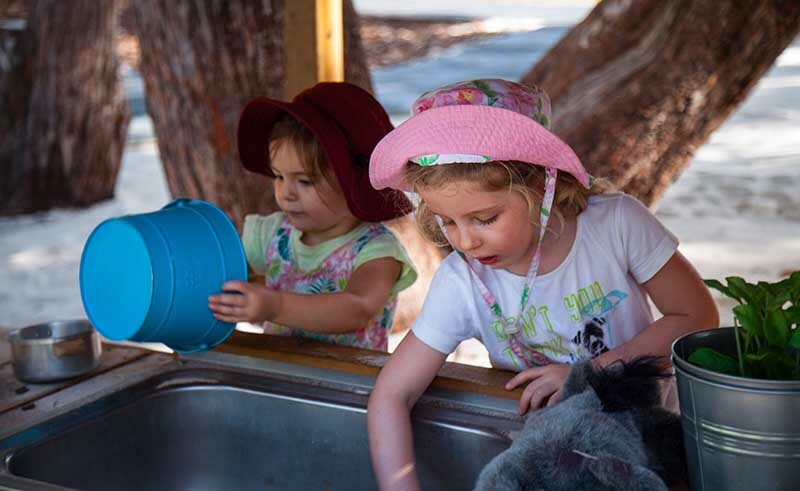 Our Pre-Kindy programme is second to none. We have been running this programme in the City of Vincent since 2010 and we have a waiting list of over one year for children to attend. 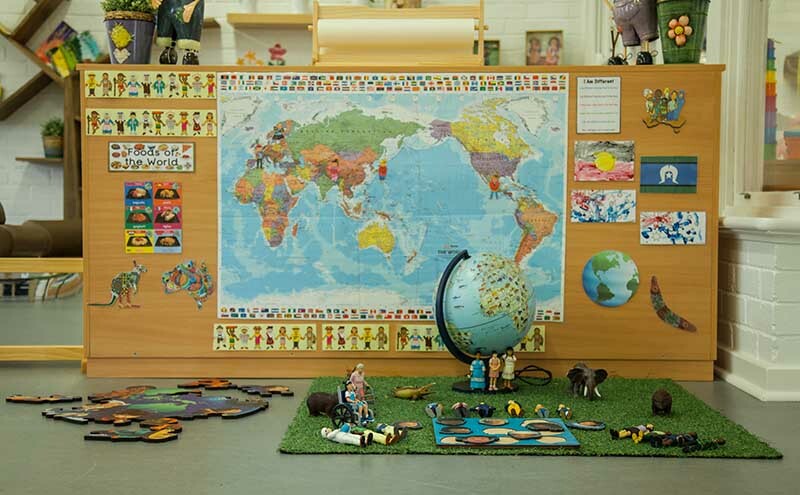 The programme has been proven to prepare your child for school and is highly recognised by our local schools. 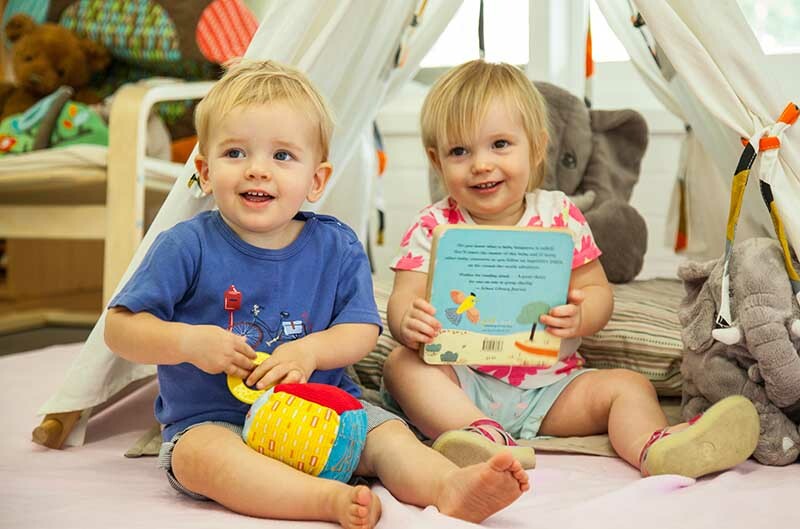 The intentional teaching we provide will ensure your child becomes independent, confident and acquires the required listening skills to shine in any class room setting. 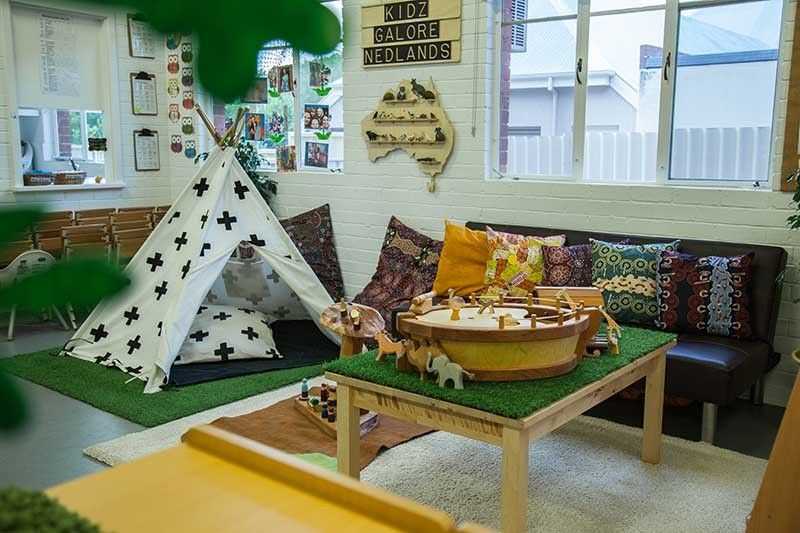 The main class room has purposeful areas of play set up for the children which allows them to move freely making chooses based on their interest. 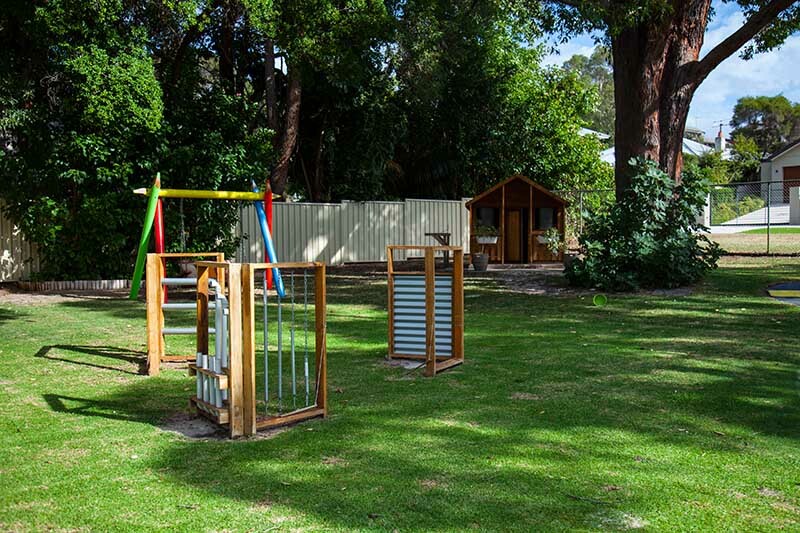 Our outdoor nature scape yard is full of large trees natural lawns sand pits bike paths and swings allowing for endless hours of learning through exploration and play. 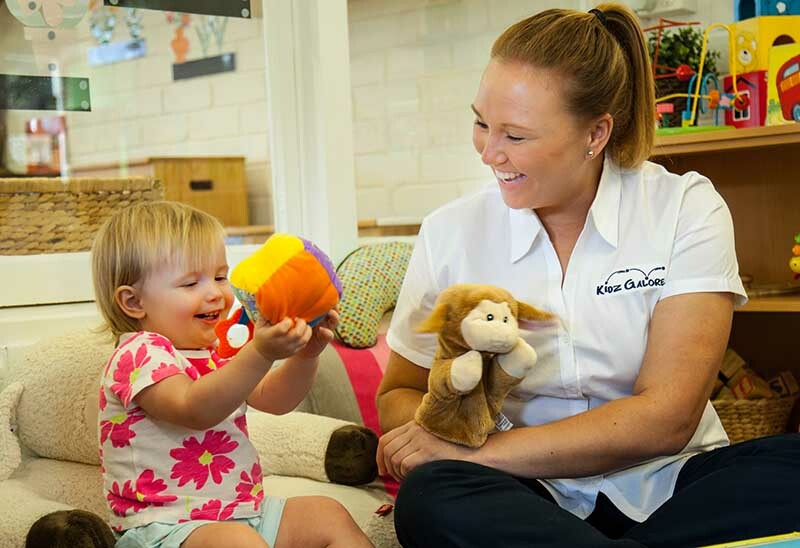 Kidz Galore Nedlands has always held an excellent standard in care and has just been awarded a rating of Exceeding National Quality under the new rating scale. It feels like such a friendly environment and I never leave Sammy there with any mixed emotions. 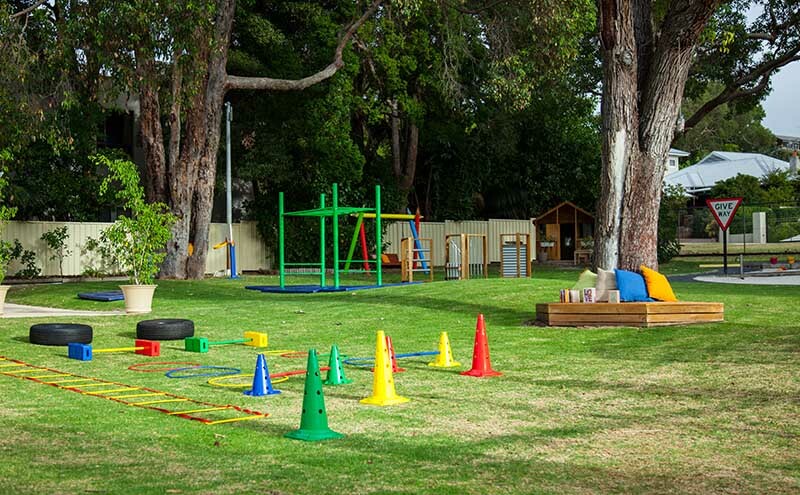 I love that my daughter can spend time during the day playing and learning in a beautiful environment. 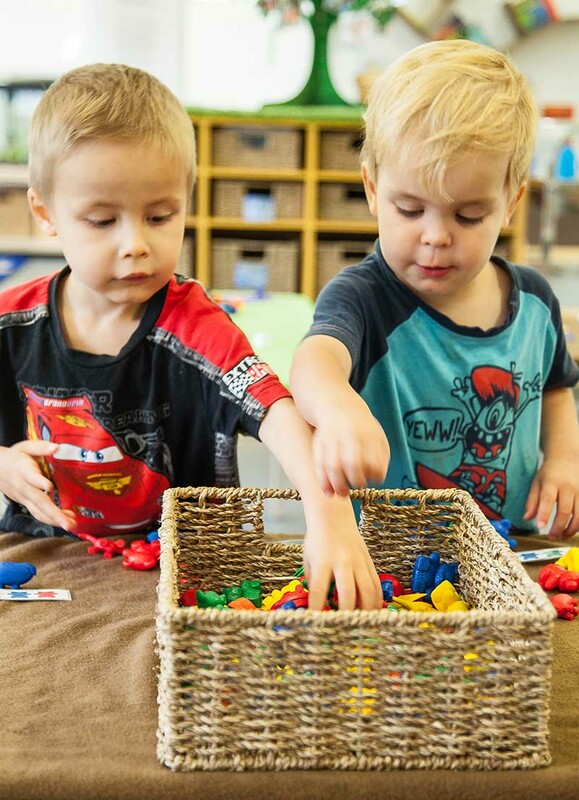 He has had fun, made friends and been prepared for and supported though his development including transition to kindergarten. 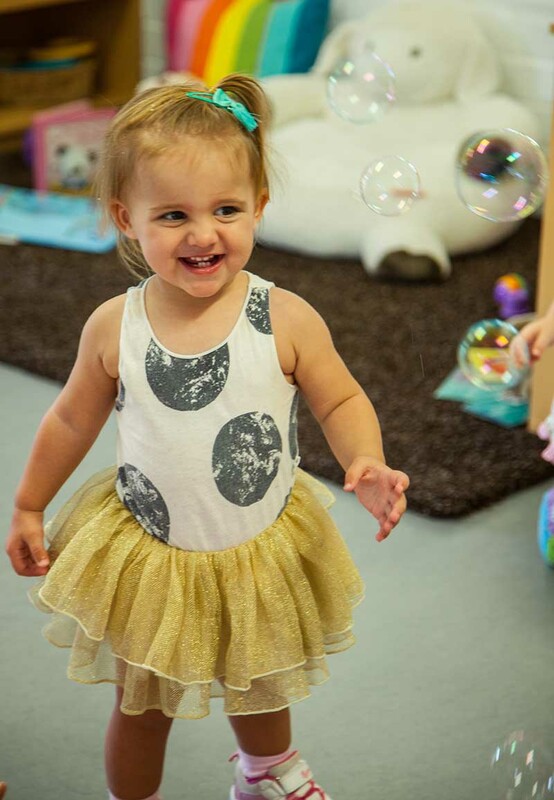 Kidz Galore has become an extension of our family and I look forward to our daughter starting there shortly. I know she will love it too!